Promote your business with easy and affordable window tint signs. 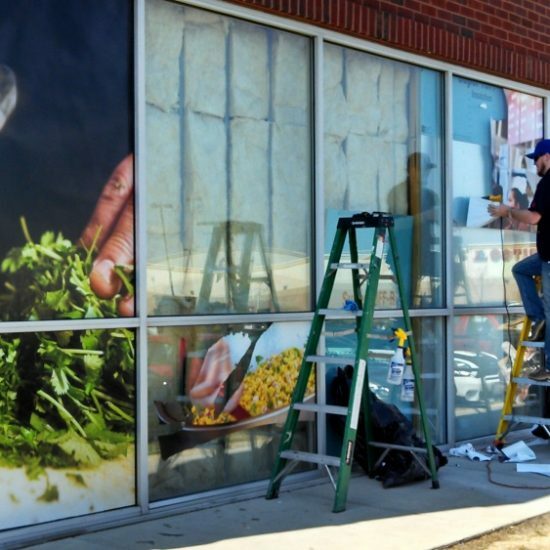 Using computerized custom-cut window film or vinyl is an easy way to produce attractive window tint graphics on glass or any smooth flat surface for marketing or promotional purposes. Interior Guards is the Mid-Atlantic’s first installer to utilize computer technology and precision cutting equipment to transform your artwork, message or idea into reality. Please contact us today to discover what marketing solutions we can create for you.